All online games are plagued with one particular problem: chat bots. These annoying little buggers log in to the game and say whatever they’ve been programmed to say over and over again, in turn flooding chatrooms and making it difficult for players to smoothly chat with one another. 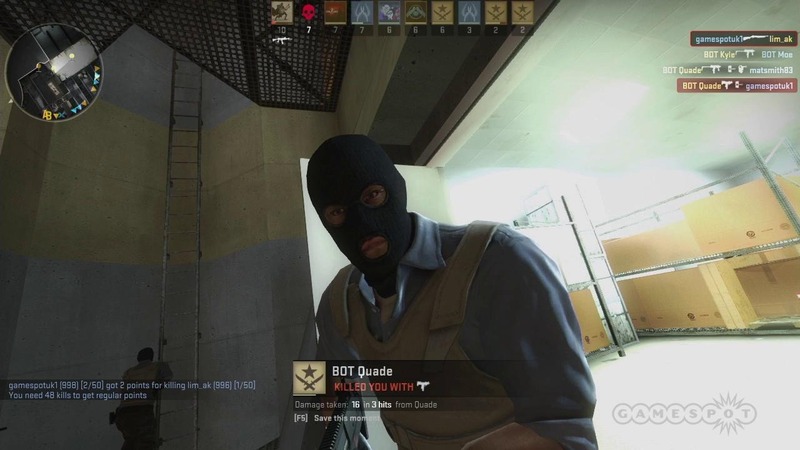 Thankfully, this hasn’t happened yet in CSGO. Well, at least until now, because other than CSGO skins swindlers, the game has been invaded by chat bots. These chat bots are not your average chat bots, as they’re able to get into any lobby, even private ones, and the worst part is that they can’t be kicked, as their maker was able to exploit a particular glitch. Ironically though (and fittingly at the same time), the chatbots were used in a strange case of CSGO-centric hacktivism: by bringing up the game’s security issues. The bots have been complaining about how Valve prioritized profiting from CSGO skins and CSGO cases over fixing hacking issues, bugs, and the overall security of the game. In response to these chatbots, Valve has issued a statement, saying that they’re already coming up with ways to solve this problem. As for the actual concerns the bots are raising, Valve has yet to say something, let alone do something about them. Hopefully the gaming juggernaut would finally realize what they must do in order to ensure that something like this never happens again. In fact, they should be thankful that despite having knowledge on such a problematic exploit, this is all the guy did. Still, what the guy did was a massive inconvenience for the players, who had every right to be pissed. If only he voiced out his concerns in a more proper venue. But then again, would he be able to garner the same impact and therefore achieve the same result if he did? Wait, I think we’re already getting to a political and philosophical discussion, so let’s stop there. So, what do you think of these chat bots? Were they for a good cause, or were they annoyances? Tell us what you think.